Description: The S&W M&P45 Shield is one of the most popular choices for legally armed citizens available today. 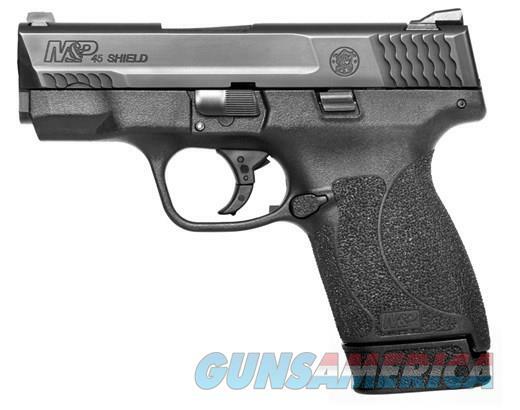 With diminutive dimensions and lightweight profile, the S&W M&P Shield is easily concealed in various carry positions and methods for just about every body type. The folks at Smith & Wesson have established a solid reputation among law enforcement and concealed carry permit holders for being ultra reliable, durable, accurate, and concealable. It's made right here in the USA, and backed by the outstanding folks at S&W for the lifetime of your pistol. Don't accept sub par pistols defensive carry, go with one of the most trusted names in the industry, pick up a S&W M&P Shield.